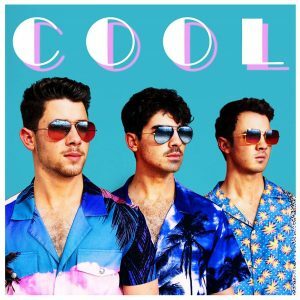 Barely a month after the release of their comeback hit “Sucker,” the Jonas Brothers are back again with a brand new song. On April 5, the trio released “Cool ” the second offering off their upcoming fifth studio album (and the first in over six years). Much like “Sucker,” this new song is already a bop with its accompanying video amassing over 2 million views in just nine hours. The video, directed by Anthony Mandler and shot in Florida, has all the ingredients to make “Cool” the next summer staple — ‘80s inspired visuals, oversized colorful tuxedos, boat parties, bingo, and even a shot of Nick buried deep in sand sporting some very Luna Lovegood-esque goggles.